And so, for example, anonymous visitors can be shown a personalized version of the website, based on third party and cookie based data; Users about to leave, can be offered special promotions; Abandoned searches can trigger a search abandonment email, and so on. Today’s online shopper is exposed to branded and commercial content across numerous channels, such as brand websites, social media, email, and mobile, and with each comes a different behavioral pattern. 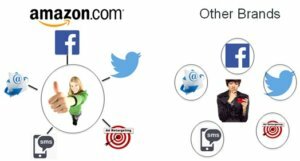 Consequently, successful personalization strategies should take that into account and deliver the right message, at the right time, on the right channel, creating an all encompassing “Omni-channel” experience. Standard personalization implementations may be able to send messages across multiple channels, but these might all be identical messages, that fail to take advantage of the channel they’re viewed in. A true omni-channel strategy, on the other hand, will provide shoppers with customized content that fits right in with the channel it’s on and tailored based on all other messages already exposed to the user. A great example of a retailer that provides users with such an experience is Amazon, which perfected this model. 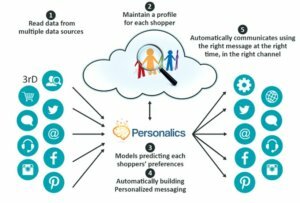 Implementing a successful personalization strategy naturally comes with a set of challenges: ROI is unclear, time to implement is a factor, connecting data sources might be difficult, and resources (both budgetary and human) may be limited in house. Therefore, we advise focusing on the 80-20, where significant results can be achieved even on limited budget and resources. Once a working personalization strategy is in place, the results should start showing. However, it is imperative to keep maintaining and evolving that strategy on an on-going basis, by layering in advanced personalization tactics. Following these guidelines, constantly iterating and improving, is key to implementing a sound personalization strategy and improving your bottom line. For much more on these concepts, including real-life case studies and a lively Q&A session, the full recording of this webinar is available here.